We are building a powerful community determined to advocate for meaningful policies that can ensure a just and equitable school system for all our young people. 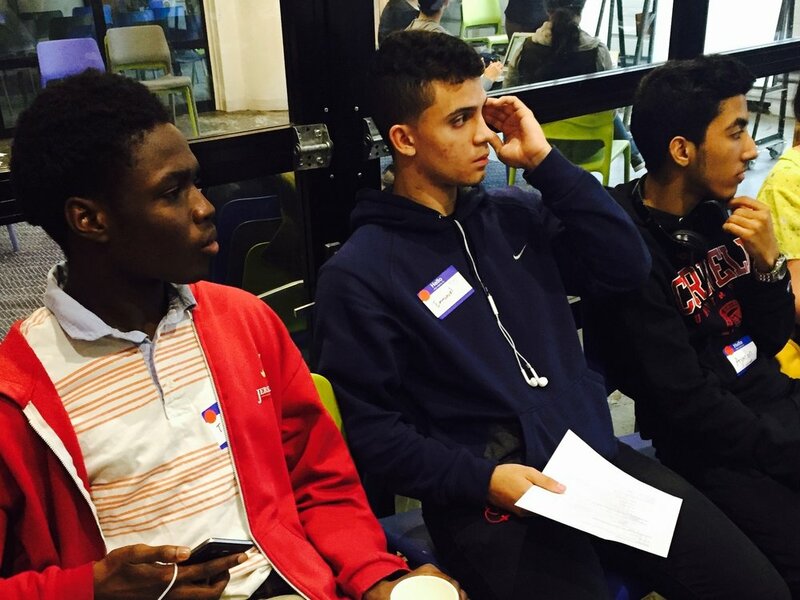 Action projects are underway for the May 20 IntegrateNYC4Me Youth Council Symposium. Each committee took major steps to push forward their work. The Resource Committee took photos of students from every borough, the Relationships Committee planned for their city-wide exchange, the Restorative Justice Committee refined questions for their panel discussion, and the Race and Enrollment Committee fine tuned their unique way to share the stories of students across the city. See it all come together May 20 here. 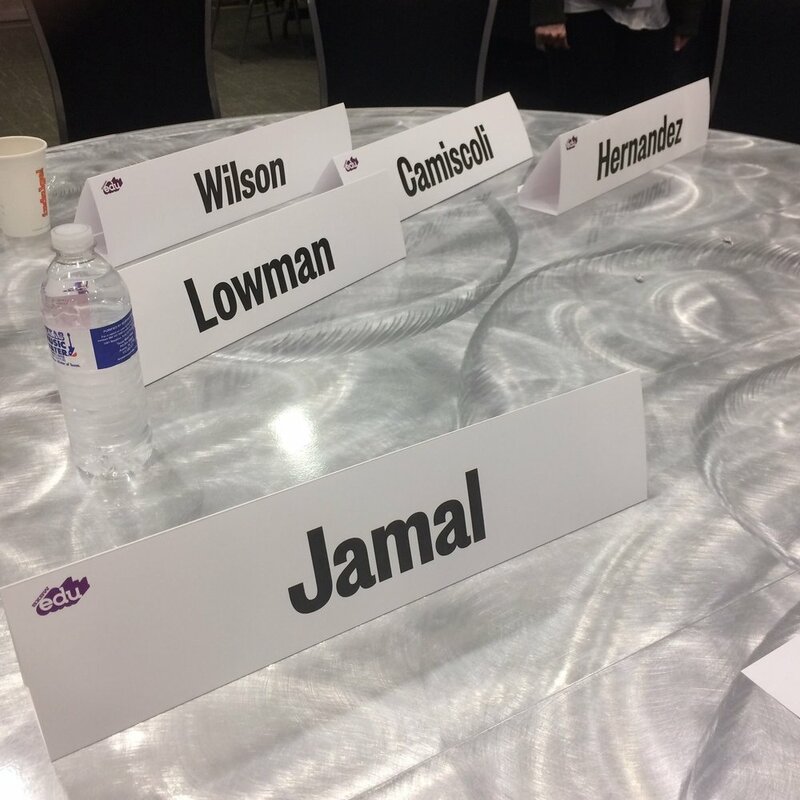 The SXSWedu Conference & Festival in Austin premiered Teach Us All, a documentary showing the current state of school segregation. The screening was followed by a panel featuring IntegrateNYC4Me's Hebh Jamal and Sarah Camisoli as the innovative work of IntegrateNYC4Me is captured in the film. Invited by Chance Academy, IntegrateNYC4Me's Education Consultancy Intern Iman Abdul and Political Strategist Intern Frantzy Luzincourt traveled to Washington DC to facilitate a workshop about integration with students. After providing an introduction to segregation, the 4R framework, and the work of the Youth Council, the students of the homeschool collective became a Mini Youth Council for the day. They broke up into committees to research inequity in their city, including the recent UCLA report showing the increasing segregation in the city, and begun to imagine solutions. The first meeting of 2017 was an exciting one. The City-Wide Youth Council on School Integration focused on creating dialogues in our communities. Each of the committees created a list of possible partners to take their work to the next level - mapping their power to influence policy and degree of support. Next, students designed meeting agendas to share the work of their committee with these allies around NYC. 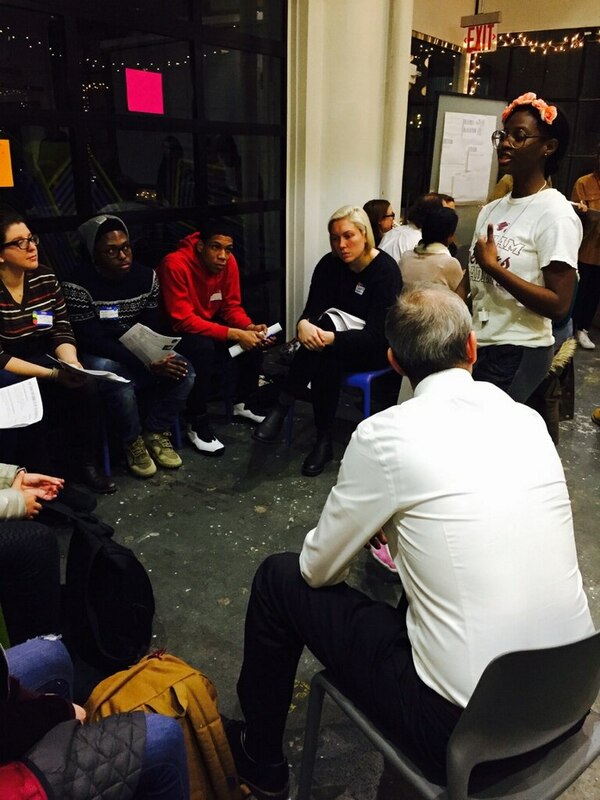 At the last meeting of 2016, the City-Wide Youth Council on School Integration continued their committee work. In addition to the three committees based on the students' 3Rs framework of integration (Race and Enrollment, Resource Allocation, and Relationships), a fourth committee was formed. The Restorative Justice committee will be focusing on disparate impacts of disciplinary action and policy. All four committees began the process of developing Mission and Vision statements for their work. 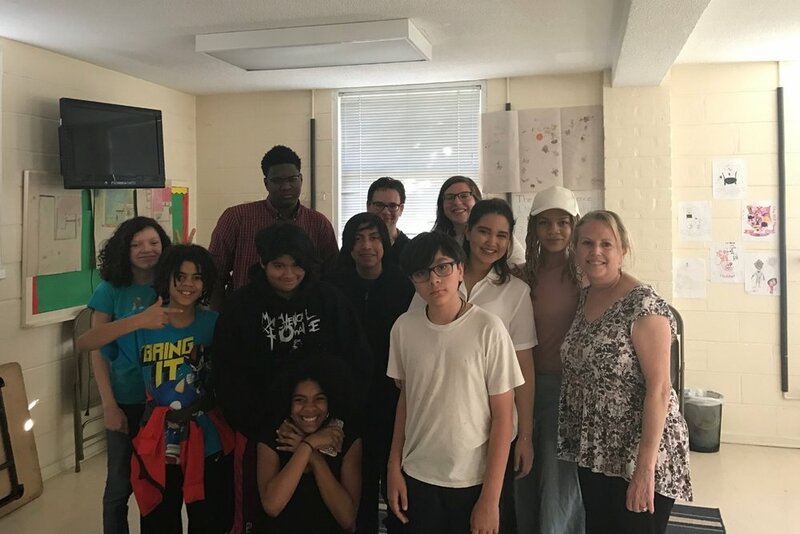 IntegrateNYC4Me's Educational Consultancy Intern, Iman Abdul, visited District 22 to connect directly with students and inspire them to take action toward integration. The design session was the first in a series to support students in creating their own projects that can be part of the solution to segregated and unequal schools. 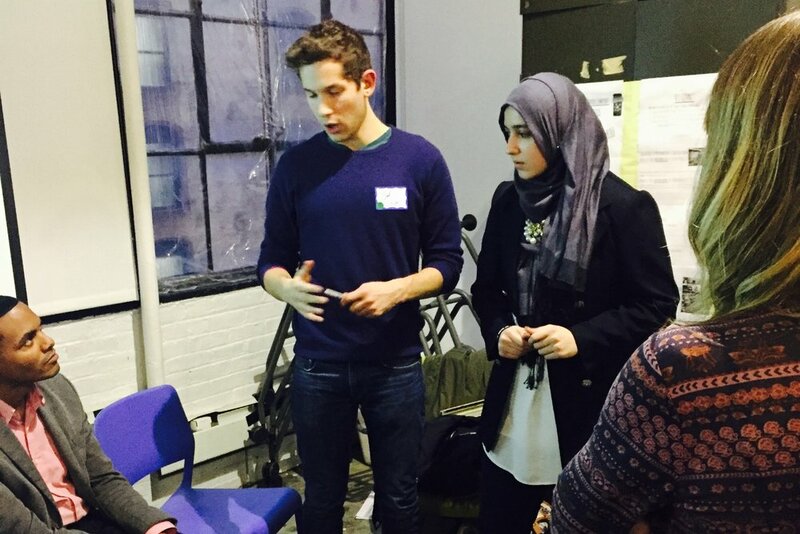 Iman's passion and experience leading projects as a former high school student left the young people motivated and inspired to put their visions into action. 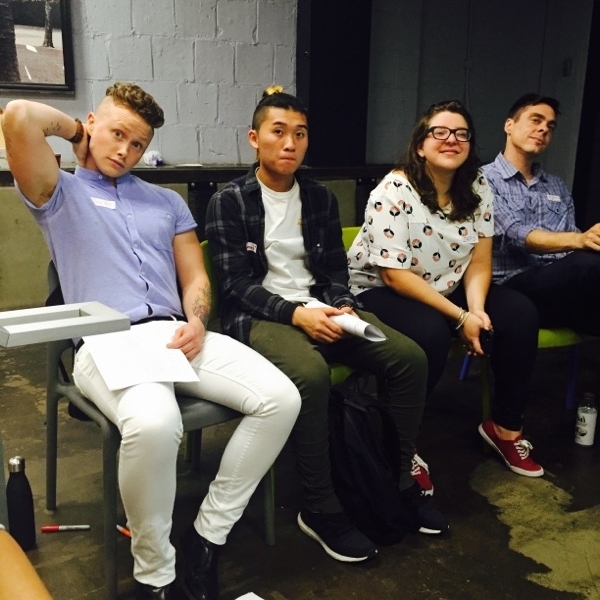 Sarah Camiscoli, Co-Founder & Co-Director of IntegrateNYC4Me, shares the importance of using this moment following the election to powerfully create space for youth leadership. On BRIC TV, Sarah gives advice to any educator or ally committed to transforming school systems and other political structures through youth action and voice. IntegrateNYC4Me's Political Strategist Intern, Frantzy Luzincourt, stood with members of the NYC Coalition for Educational Justice to call on the DOE to provide anti-bias training to principals, educators, staff members, and parents. With the uptick in hate crimes across the city, the proposal focuses on expanding existing efforts to do anti-bias training rapidly, broadly, and deeply to ensure our schools are prepared to serve the rich diversity of NYC students. Learn more about about the work of the NYC Coalition for Educational Justice at www.nyccej.org and find the text of the full proposal HERE. In November, the City-Wide Youth Council on School Integration welcomed DOE representatives from the Office of Enrollment the Office of Equity and Access to join their session. Student advocates, adult allies, and DOE officials split into three committees based on the students' 3Rs framework of integration: Race and Enrollment, Resource Allocation, and Relationships. There they collaborated on policy proposals and possibilities to push this work forward. 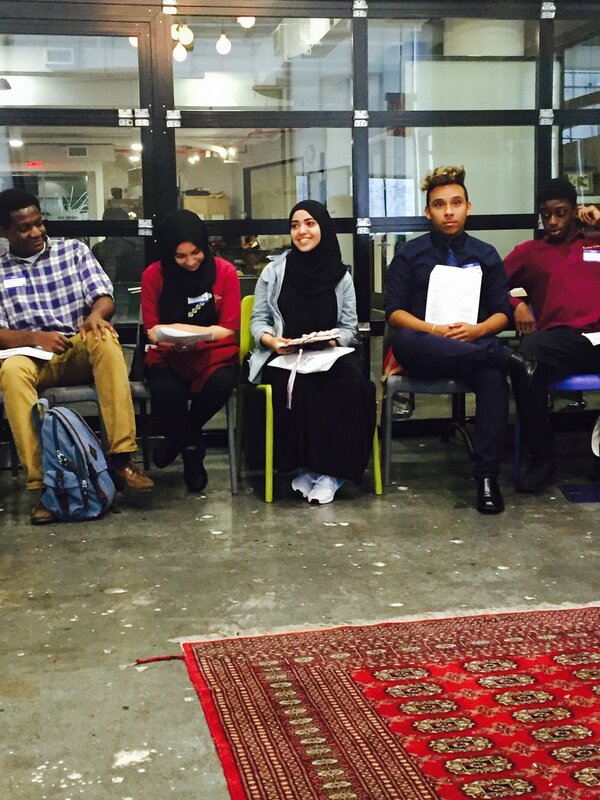 IntegrateNYC4Me launched the first City-Wide Youth Council on School Integration this September. 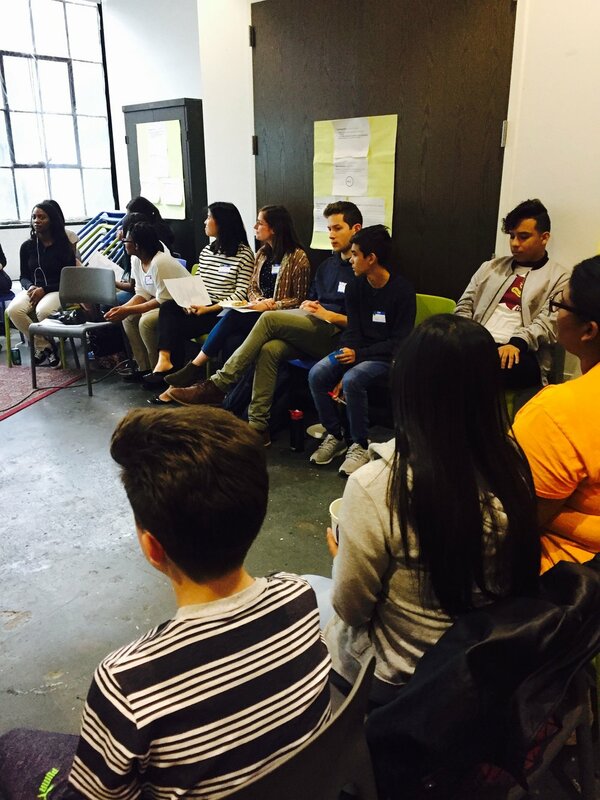 Students from 10 different districts met to build a movement together. They created a hashtag #makeAmericaInteGREAT to spread their message about school integration via social media. To date, the hashtag has received over 200,000 impressions. 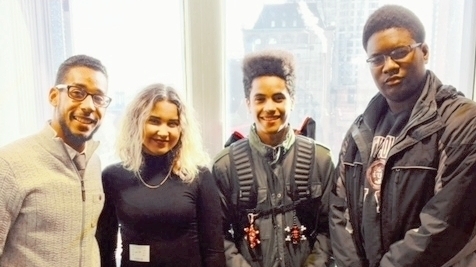 Student advocates from Districts 2, 7, 15, and 22 met with NYC Deputy Chancellor Josh Wallack as well as NYC Council Members Brad Lander (District 39) and Ritchie Torres (District 15). As Deputy Chancellor Wallack oversees the office of enrollment, students brought policy recommendations to improve integrated enrollment in high schools across the city. They shared their personal experiences of attending segregated, unequal schools and their visions for a future where all NYC schools honor the diversity of our city. Watch as student advocate, Timothy Martinez, speaks to the Committee on Education of the New York City Council about how segregation impacts his school community. IntegrateNYC4Me's Co-Founder Sarah Camiscoli and Political Strategist Intern Frantzy Luzincourt were invited by Harvard to join other national leaders of advocacy groups, universities, and equity assistance centers for a working session. The conference was an opportunity to connect approaches across organizations and develop plans to coordinate efforts across geographies. Other special guests included former Secretary John King and former Deputy Assistant Secretary Tanya Clay House. Coro connects professionals who are deeply immersed in the city’s social, political, and economic issues with challenges designed to push them to explore all aspects of an issue and navigate varying stakeholder interests. As part of a day focused on diversity and integration, Coro invited IntegarteNYC4Me students from District 15 and 22 to share their experiences with and solutions for school segregation. The Beyond the Bars Conference is an annual event that brings together a trans-disciplinary group to advance the work of ending mass incarceration and mass criminalization and building a just and safe society. IntegrateNYC4Me's Hebh Jamal was invited to speak alongside Angela Davis at the event's evening session - "Building the Movement." Watch the full session above or go directly to 1:50:50 to watch the panel featuring Angela Davis, Hebh Jamal, Bina Ahmad, and Thenjiwe McHarris. At the February City-Wide Youth Council each of the four committees created a project to push forward their vision for integration in NYC. 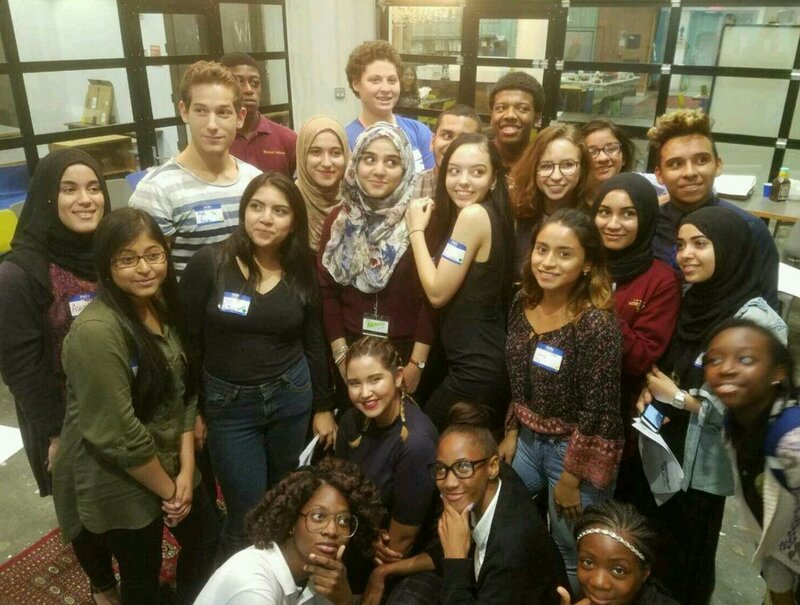 Inspired by young people who have led the integration movement - from the takeover of a school in Prince Edward County, VA in 1951 to the exchanges the IntegrateNYC4Me students led last year - the groups created new ways to demonstrate a future where integrated and equitable schools are necessary and possible. Students were joined in their creation process by Councilmembers Brad Lander (District 39) and Ritchie Torres (District 15), journalists, and DOE officials. The Committee on Race and Enrollment met with the DOE Office of Student Enrollment at their offices to discuss why they do the work they do, where they see their leverage in making change, and how they might collaborate moving forward. This was an incredible opportunity for our advocates to sit down directly with DOE decision makers to better understand how to work together to make meaningful change. 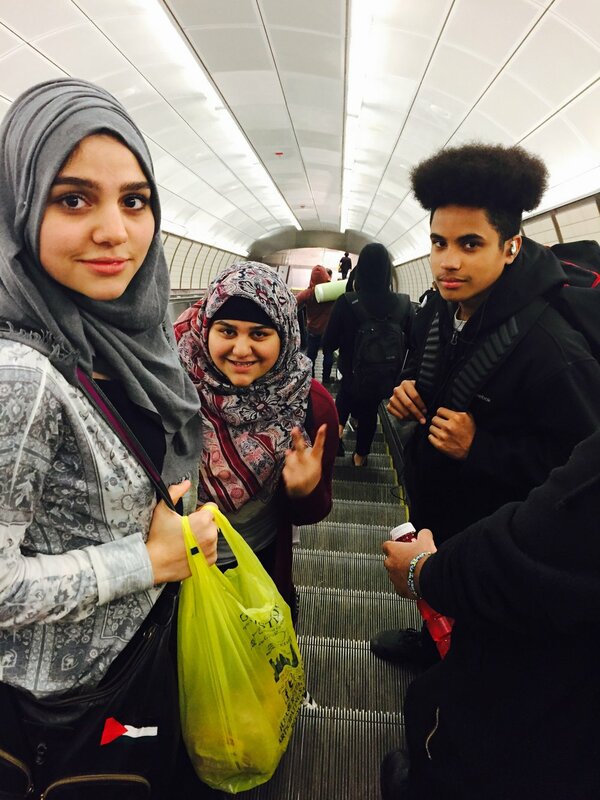 IntegrateNYC4Me's Iman Abdul and Hebh Jamal, were featured in Fight For Our Rights: Profiles & Portraits of NYC Activists, writen by the eighth grade class of the Metropolitan Expeditionary Learning School in Forest Hills, Queens. Students studying activism (both contemporary and historical) connect with current New Yorker advocates and conduct hour-long interviews that eventually become informative profiles of the activists and their work. IntegrateNYC4Me students stand with City Councilmember Antonio Reynoso of District 34 in support of a bill requiring reporting on resource allocation and sports access across NYC schools as well as a resolution calling on the DOE to ensure that all students have equitable funding and equitable access to after-school sports and activities. Sarah Camiscoli and Iman Abdul joined others in the school integration movement on a panel at the Teachers College of Columbia University. The conversation covered topics related to policy, practice, and research and ended with a discussion of the local efforts currently underway to support school integration in New York City. 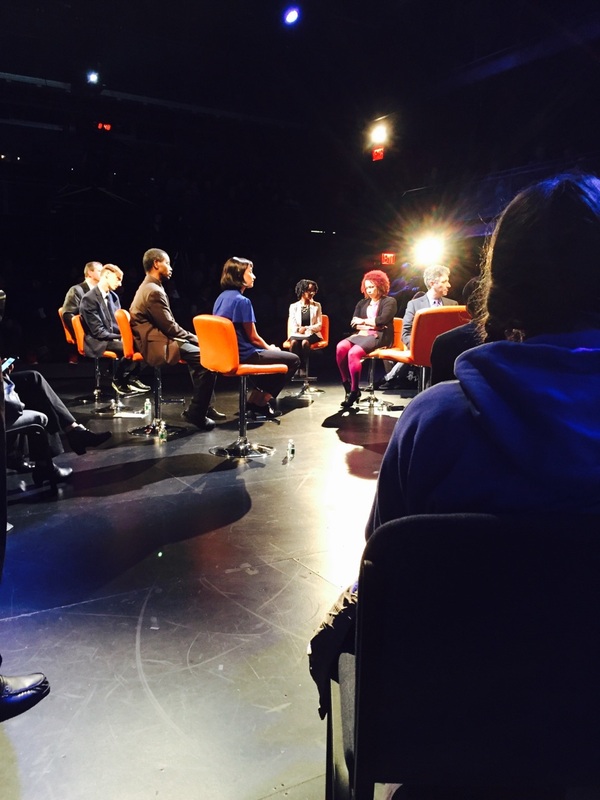 BRIC invited IntegrateNYC4Me advocates to a live-broadcast, town hall-style discussion about segregation in NYC. Panelists included: Yasmeen Khan, Nikole Hannah-Jones, Councilmember Brad Lander, Clarence Taylor, Deputy Chancellor Josh Wallack, and Lurie Daniel Favors. In advance of the meeting, BRIC also asked student advocates to be part of their #BHeard BRIC TV series and share their proposals to create integration. At their second meeting, the City-Wide Youth Council on School Integration wrote letters to their elected public officials sharing their views on integration and the need for our political leaders to take action. Students from across the city - from the Bronx to Staten Island - worked together to identify their representatives and co-author letters inviting them to the next council meeting. IntegrateNYC4Me was invited to speak in Washington D.C. as part of a Listening Session hosted by the U.S. Departments of Education, Housing and Urban Development, and Transportation. The goal of the session was to bring together policy makers with researchers, advocates, and local actors around the Stronger Together grants proposed by the Obama Administration. Hebh Jamal and Amina Fofana stood up and spoke to the need for integrated enrollment, equitable resources, and strong relationships in all schools. IntegrateNYC4Me student advocates from around the city attended a roundtable hosted by NYC Council Members Brad Lander (District 39) and Ritchie Torres (District 15) with organizers, administrators, and academics working in different neighborhoods and city-wide and at all levels of the school system pursuing a variety of strategies.